Spaghetti is long, thin and cylindrical pasta. Capellini is thin spaghetti whereas Spaghettoni is a thicker form of spaghetti. It is predominant in traditional Italian cuisine. Spaghetti is made up of water and wheat enriched with minerals and vitamins. Italian spaghetti is formed from durum wheat semolina but also could be prepared with other flour types. Usually pasta is white in color which is because of refined flour being used. Initially spaghetti was long but with shorter lengths it gained much popularity during latter half of 20th century. It is available in length of 25 to 30 cm (10 to 12 inches). It is served with meat or vegetables or tomato sauce. 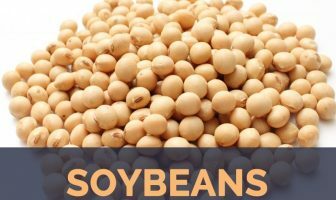 It is rich in carbohydrates and adds all nutrients found in refined white flour. In 5th century, the first written record of pasta refers to dried pasta which is cooked through boiling that was portable. Around 12th century, it worked into long and thin forms in the west. Spaghetti was renowned throughout Italy after spaghetti factories got established in 19th century which enables mass production of spaghetti for Italian market. In 19th century, spaghetti was offered in restaurants in United States and did not included oregano or basil until decades. Spaghetti is made from ground grain and water. Spaghetti is made with a rolling pin and a knife. The use of pasta machine provides uniformity and simplifies rolling. Normally fresh spaghetti could be cooked within hours of being made. Factories produce bulk of dried spaghetti with use of auger extruders. Though basically it looks simple but the process requires lot of attention to assure mixing and kneading of ingredients form homogenous mix without air bubbles. Forming dies are water cooled for preventing spoiling of pasta by overheating. Drying newly made spaghetti requires proper control to prevent strands from sticking and requires sufficient moisture so that it does not become brittle. The packaging has developed from paper wrapping to plastic bags and boxes. Commonly, spaghetti is served with tomato sauce containing oregano, basil, meat, olive oil and vegetables. It is available in cans or tins with sauce. In United States, it is offered with chili corn carne. In Italy, spaghetti is served with Bolognese sauce. In Philippines, Filipino spaghetti uses broad amount of ground meat, cheese and sliced hotdogs. In Thai cuisine, sapaketti phat khi mao is a spaghetti fried drunken noodle style. Spaghetti aglio e olio is an Italian pasta dish prepared with spaghetti with garlic and oil. Southern Italian cuisine, Spaghetti alla puttanesca comprises of olive oil, tomatoes, capers, olives and garlic. Spaghetti alla Nerano consists of fried zucchinis and provolone. An Italian-American dish composes of tomato sauce, meatballs and spaghetti. Spaghetti Bolognese is spaghetti with tomato sauce and minced beef. 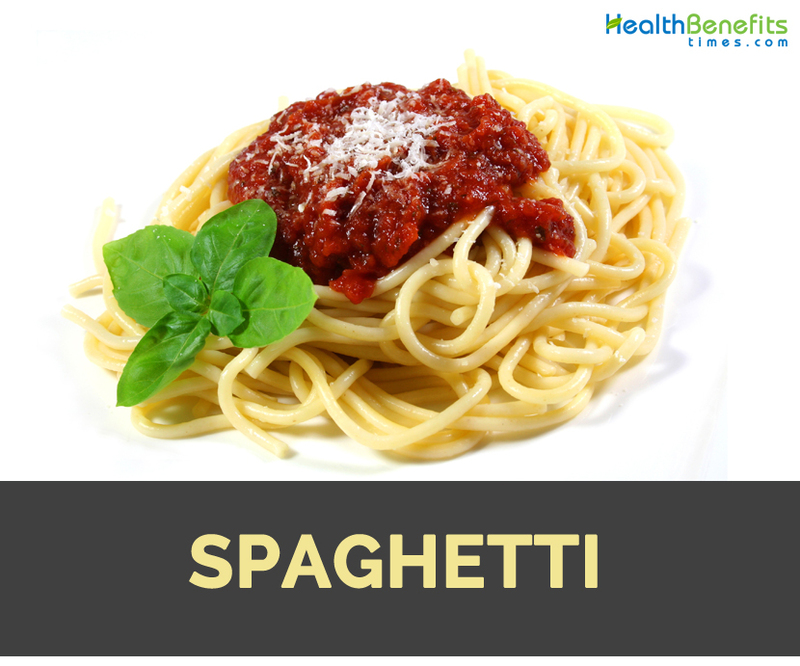 Spaghetti is loaded with carbohydrates which are required to maintain balanced diet. Whole wheat spaghetti is a better option as it contains high content of fiber in comparison to regular pasta. Fiber is required to maintain healthy digestive system. Made from flour and water, spaghetti is regarded as a carbohydrate source. Carbohydrates offer energy to the body. Study shows that one should obtain 45 to 65% of daily caloric intake from carbohydrates. One should add some form of carbohydrates to diet in order to be healthy. Spaghetti is a great source of vitamins, minerals and fiber when opt for whole grain pasta and whole wheat pasta. The serving of half cup offers 2 grams of fiber with 90 calories. It also contains calcium as well as iron. Whole grains are the source of potassium, magnesium and selenium. Selenium ensures proper functioning of thyroid hormones, potassium assures heart function, and magnesium supports healthy muscles, bones, metabolism and nerves. Moreover, spaghetti sauce provides enormous iron with antioxidant lycopene. Study concluded that it lower the chances of cancer when included tomato sauce pasta dishes in the diet. This is possible with the presence of lycopene preventing oxidative damage. Adding spaghetti to the diet helps to maintain cardiovascular health. This is because pasta does not have cholesterol and have low sodium content. It also lowers the chances of developing heart problems by substituting high sodium and high cholesterol foods with whole wheat pasta. Spaghetti refers to the plural form of the Italian word “spaghetto” which means ‘thin string’ or ‘twine’. Italians won’t use a spoon and a fork to eat spaghetti. Calories in 1 cup spaghetti packed, 151 g 225 Kcal.